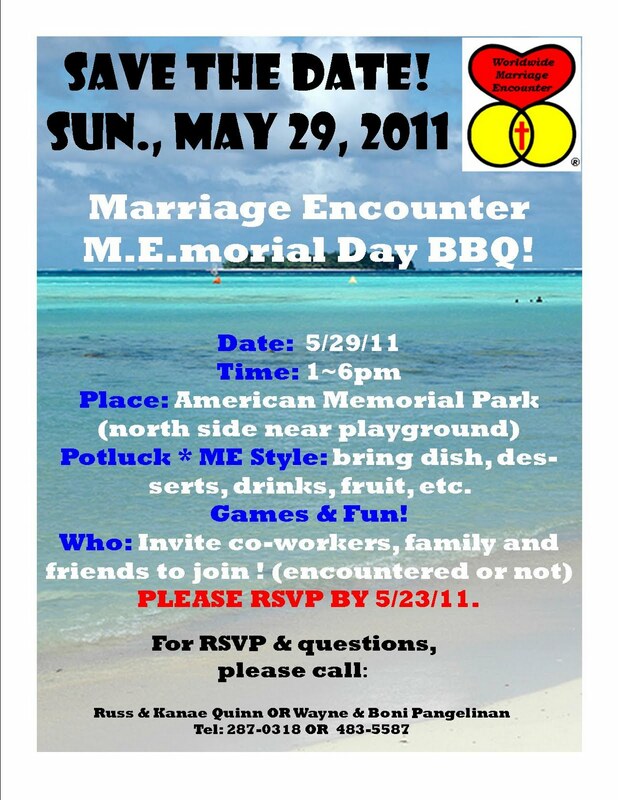 M.E.morial Day BBQ on Sun, 5/29! Will you be attending the M.E.morial BBQ on 5/29 (1-6pm)? Yes, count us in! There will be 2 of us. Yes, count us in! There will be 3 of us. Yes, count us in! There will be 4 of us. Yes, count us in! There will be 5 of us. Yes, count us in! There will be 6 of us. Yes, count us in! There will be 7 of us. Yes, count us in! There will be 8 of us. No, sorry we can't make it. Next weekend is the M.E.morial Day BBQ! We invite all of you to attend but in order to properly prepare for the event, we'd like to know how many can make it. Kindly take the poll. 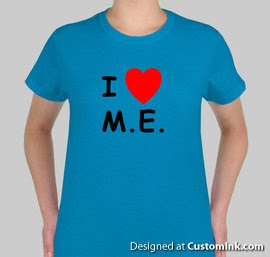 The New M.E. 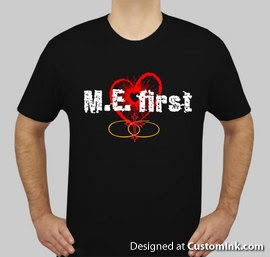 T-shirts (I Love M.E. & M.E. 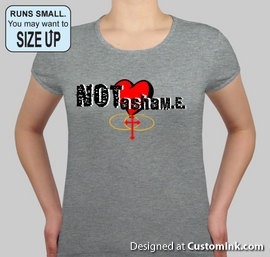 First) will also be available for sale at the BBQ. 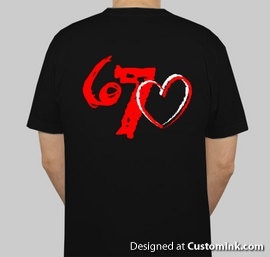 Sizes S-XL are $18 and XXL is $20. If you ordered one at the Reunion, please come and join us at the BBQ and pick up your shirt. Also, if anyone can help with Set Up, Games and Clean Up, please call Wayne 483-5587 or Kanae at 285-1168. We look forward to seeing you all next Sunday! 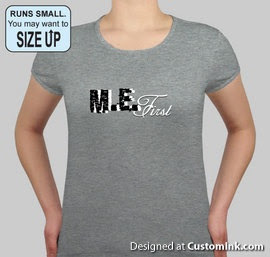 Please scroll below to view and vote for the next M.E. T-shirt. We value your opinion and look forward to seeing you at the M.E.morial Day BBQ on Sunday, 5/29/11 from 1-6pm. 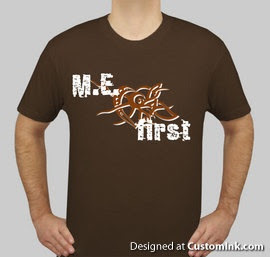 Please see some of the M.E. 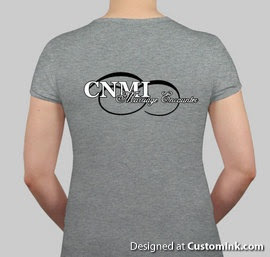 T-shirt designs. Let us know which one you like best by taking the poll below. What slogan do you prefer for the next M.E. T-shirt? Choose 1. 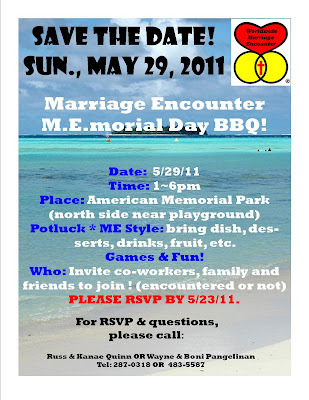 Come Join M.E.memorial Day BBQ on May 29! Bring your family and friends (non-encountered OK) to the upcoming M.E.morial Day BBQ on Sunday, May 29, 2011 at the Northern part of American Memorial Park (close to the playground). We'll have food, games and lots of fun! Please bring a dish/drinks to share! Call 287--318 or 483-5587 to confirm and/or sign up for one of the three committees (set up, clean up, games).